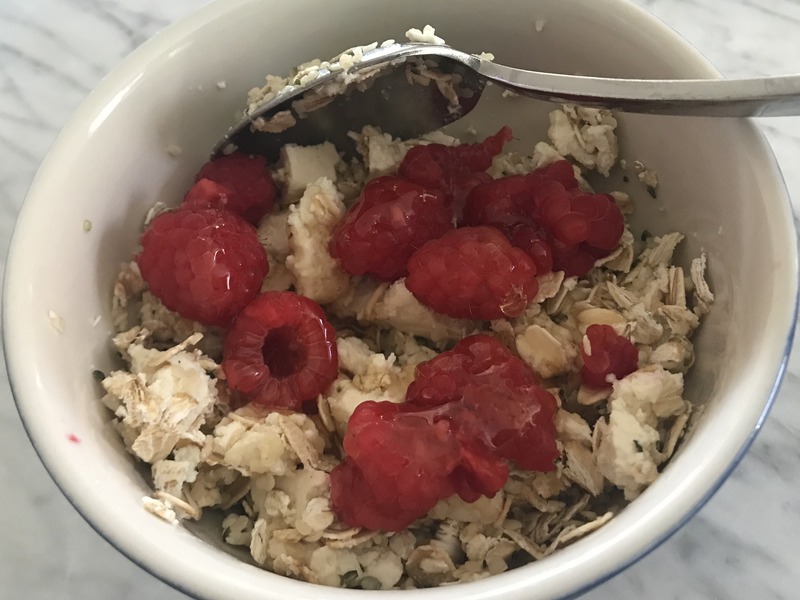 Breakfast Bowl That Is Fast and Yummy In Under Two Minutes with 19g of Protein! This is a breakfast dish that ANYONE can do. Breakfast in under 2 minutes with 19g of Protein! Whoohoo! A simple Breakfast Bowl with 19g of protein. Now you’re talking! When I interviewed Josh Balk, at the Humane Society of the United States, he reminded me that when we start our day off with a plant-based meal, you are already off to a great start. For those just starting out and wanting to try going plant-based, I think this is an important note. Set yourself up for success. Make it easy. Start your day right and the rest will follow. Afterall, you are already one-third of the way there! So to get a jump-start to your day and begin on the right foot, here is the easiest of easy recipes. A simply, yummy breakfast bowl packed with protein. Perfect for mornings when you are running out the door. And let’s be real. That’s every day! The ingredients for this one are simple and it is two minutes or under! Directions below and here is a clip above of me making this on WCIU! *Calories, fat, protein vary on fruit choice or tofu/non-dairy yogurt choice. As always, consult a registered nutritionist before going on a diet. Mix ingredients in a bowl and be on your way. Told you it was easy! Now get to work!